Where does your school land? We surveyed over 350 K-12 education professionals on Jamf Nation, the largest community of Apple administrators worldwide. We heard from professionals at all levels — ranging from education technologist to Chief Technology Officer — to help shed some light on the state of Apple adoption in K-12 schools and where it’s headed in the future. 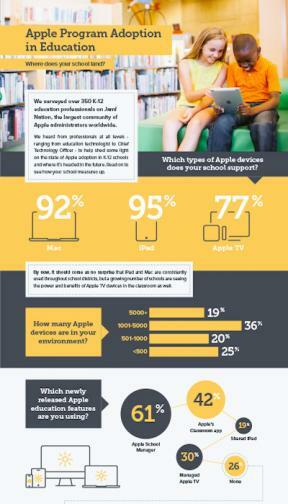 Download this infographic to see the results and find out how your school measures up.